i have to be honest, a summer with all five kids at home can be overwhelming. the last days of school, i can feel my heart beating faster, my breathing rapidly increase. i wouldn't say that i have a full blown panic attack but i definitely feel the pressure. 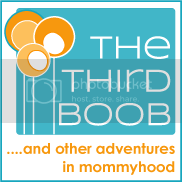 thoughts of filling a summer with activity for five little people can be daunting. this year, i decided to get organized. the more organized i became, the better i felt. 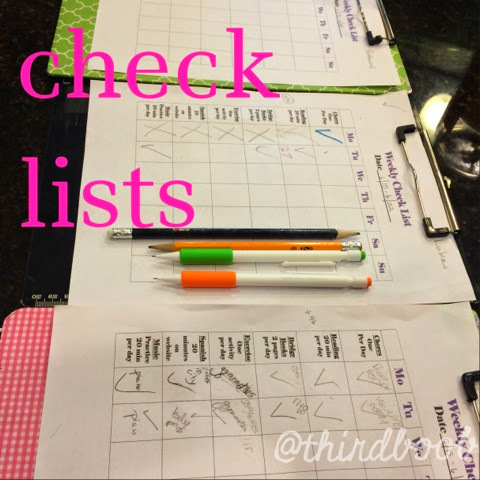 i created an entire summer checklist for the kids to accomplish each day. surprisingly, the kids were all for this idea. we are now two weeks into our summer here in the south and we are on a roll. i can't say this will work for everyone but for us, this has been a life saver. too much idle time during the summer causes problems; kids fight, they are restless, and quite frankly, i don't want to have to entertain them all day everyday. i'm also from a family of educators. my dad is a retired principal, my mom's a former teacher and speech pathologist, my sister and sister-in-law both teach and i used to teach high school. my kids are surrounded. i don't want them to spend the summer losing all the information they learned over the school year. 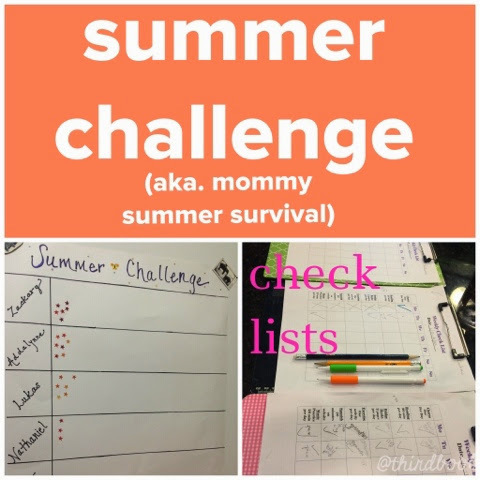 all of those factors led to our "summer challenge." 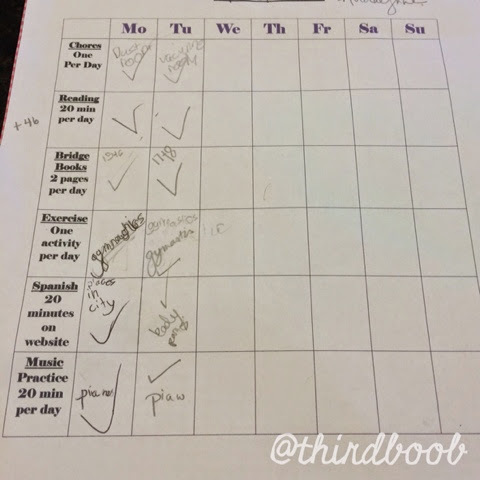 each day the kids have a series of tasks to do. 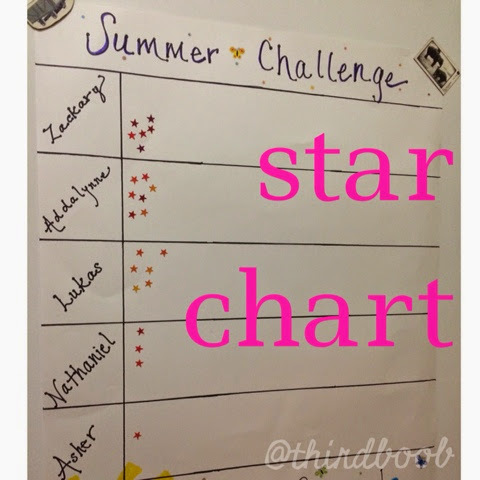 at the end of the week, they can earn a star for completing a week of tasks. the stars add up to rewards. it's a simple concept but, surprisingly, the kids love it. i have to be honest, i love it too. they are busy and working for a couple of hours a day and i have time to sit with each of them to help them get their projects or teach them something new. i am actually thrilled with the results. feel free to use this idea and run with it. it may not work for you exactly the way it has worked for us but, please, make this your own and use it to bring some sanity to your own house this summer. Rules: These were read to the kids on our first day. They all agreed so we kept going! 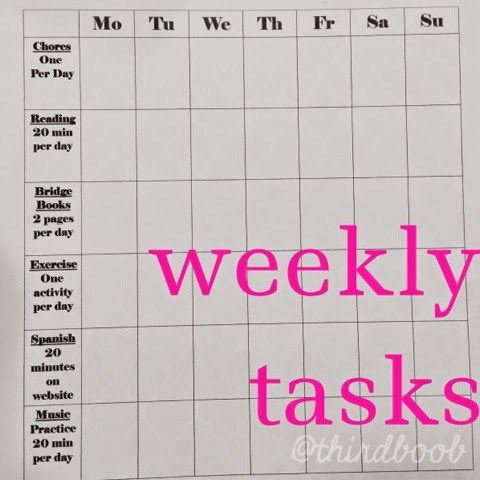 My kids had already been trained on their weekly chores so that was easy for them to continue. They had several books already purchased for them to enjoy over the summer. 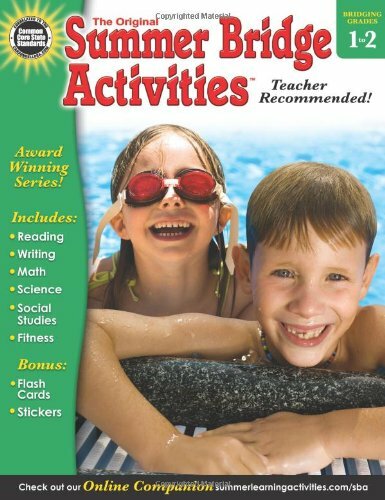 We purchased Bridge Books from amazon.com. i printed out a check list for each week. i made several copies for each child with a place for the dates at the top. each child has their own clip boards so their lists can travel with them. 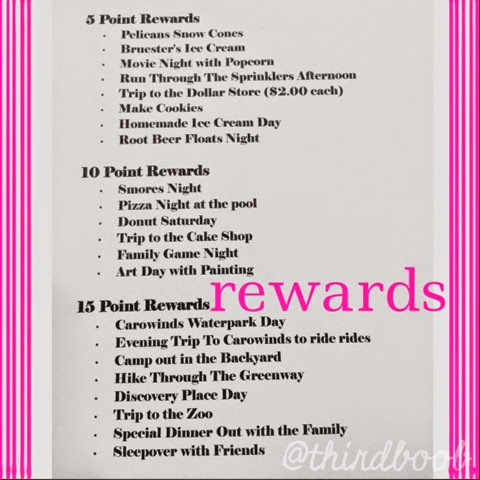 we brainstormed as a family for great ideas for rewards. this is what our family decided upon. 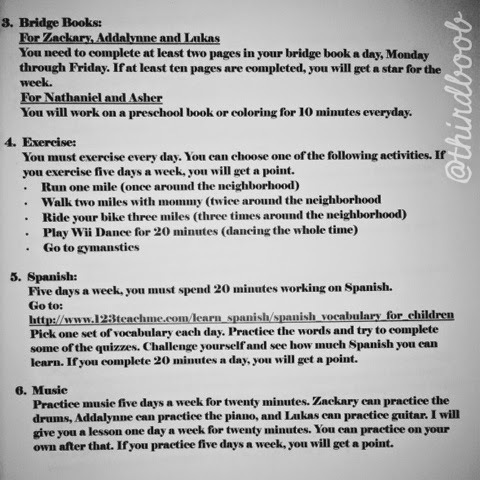 at the end of each week, if my kids have completed their assignments, they get a star for each area. They get to choose the reward for our family. That's it. So far so good. The kids are engaged. The days are full. The rewards are fun. 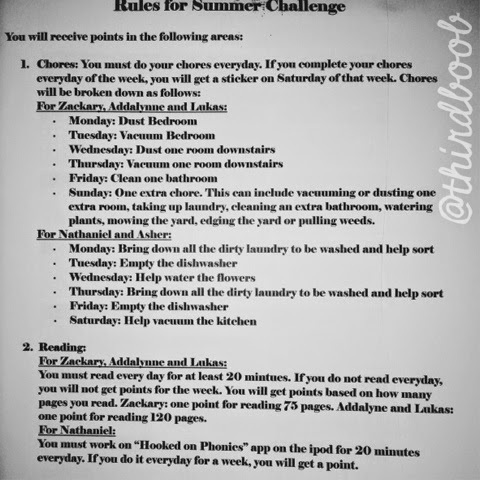 This is my kids' summer challenge...and my summer sanity.